Although these oinkers are few and far between compared weith the huge numbers on housing allowance in Kensington etc. no one should be immune from the cuts as we are, after all, in it together. I have always believed a large number of these jobs "for the boys (gals)" were part of a endemic web of corruption that impacts the majority of positions in local government. Saw it in the US where nepotism and corruption rained supreme. 7 Executive Members take out £500,000. These are not employees, these are elected representatives. It is so bad the Council is breaking the law by not having a remuneration panel scrutinising their expenses. The original panel fell apart (Barry Norman the film critic resigned), then there was an indpendent panel who busted the Council and went public) then a replacement panel was appointed but they resigned en masse. Now the Council are months later looking for candidates "they feel are suitable"; hardly independent!!! The next scandal will be the pensions paid to these parasites, none whom are qualified to run budgets or make business decisions. There was once a time elected reps did the job to give something back to the area they lived in. Now they are a bunch of old men on the take milking it for all the money they can before they retire. Well we are not all in this together. The looting will continue whoever you vote for. The only thing that will stop this, is people getting so pissed off, they start stringing the oinkers up, but xfactors back on, so little chance of that! Leaves early on sick so gets full pension. Then recovers and joins housing association? I think the Police should be called. Of course the Council will have lots of nice paperwork to justify itself. 100k should be the ceiling. How on earth can councils afford to pay people so much money for doing so little. NO COUNCIL HAS THE RIGHT TO COMPLAIN ABOUT CUTS WHEN THEY ARE EMPLOYING PEOPLE AT SUCH SALARY LEVELS. I wish we could refuse to pay our council tax until such salaries are cut or only pay what it was in 1998.
waste of time...he will be too ill to attend court. Yet despite sparking a fresh row over extravagant town hall salaries, Nick Johnson – who earns more than twice as much as the Prime Minister – insists his pay packet is 'really not a lot'. I thought everyone already knew that this happens in councils and HAs up and down the country, no? East Herts District Council sold off land held in trust on behalf of residents in Bishops Stortford for £2.5 million below the Council's own valuation to Henderson Global Investors based in Jersey. Both vendor and purchaser used the same Agent!!!!!!! The Dist Cllr (an Executive Mmember) who announced the sale in March 2009 stated that they had been in negotiation for years but it was the first backbench Cllrs had heard of it. The above mentioned Cllr appears to have ended up owning property in the Alps!! Draw your own conclusions. The MP for the area uses one Executive District Cllr as his Agent. This same Cllr is also the deputy of EHDC, responsible for planning and responsible for the selection of future candidates to become elected reps i.e. district cllrs. One Executive Dist Cllr was involved in litigation which is alledged to have cost £500,000 in legal fees and out of court settlements with two women he is supposed to have bullied and harrassed. No details are known because the report was kept absolutely silent, even from those on the Executive at the time who where forbidden from asking questions. Because all this took place prior to the Freedom of Information Act it is unlikely details will ever be known. This same Cllr remains responsible for planning policy and he has allowed flats to be built which remain unsold today. They are being bought by London Councils to ship out their dispossed as they are legally responsible for housing them. Another Executive Dist Cllr went on vacation and his house sitter noticed a water leak into the ground floor lounge. Tracing the leak up into the attic they found multiple black bin bags stuffed full of used £20 notes. They used their mobile phone camera for evidence and then closed the attic door and never mentioned it to the Cllr. EHDC Executive ruling elite is totally bent. The remaining 42 Cllr dare not speak out because they fear deselection at the next election AND they will not be given any remits which means they have nothing to do and thus earn no money. I am sure there are many Councils like this all over the UK. The difference is that "we" have busted these spivs who tend to be male, old, at or near retirement age. Oh and the Police conducted an investigation ito East Herts District Council corruption in the early 1980's which most people have forgotten about. 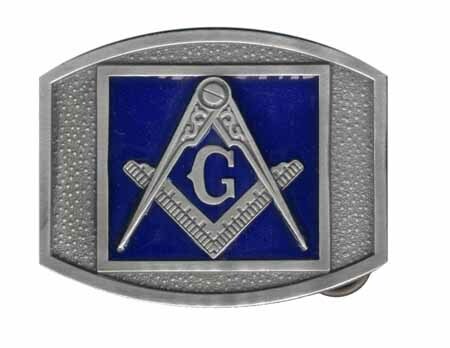 Learn the freemason handshake. It's not what you know, it's who you know. ^Look at where this young man is now. 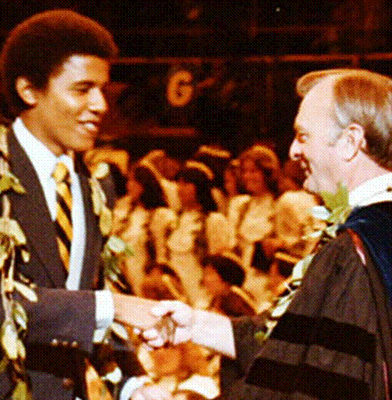 Spot the "G" in Obamas picture. It really depends on what this guys manages in terms of budget, staff. risk , challenges etc, 260kas a number is not necessarily high it is exorbitant though if he is not performing at that level and is doing the deities of a council clerk. which part of "Ill Health" and "RETIRED" and "PENSION" is unclear to you? Bardon, we can at least be sure that he wasn't managing P&L, no? Why does a council need 'executives'? Most organisations have an executive. He may be an oxygen thief but I just wanted to find out what he does or doesn't do before executing him. 1. It's more than the PM earns, who has more responsibilities. 2. It crowds out talent from the Private Sector. I.e. by paying huge wages in the Public Sector, talent is lost to it from the Private Sector, which is the sector that drives growth. 3. It's a double-whammy for the economy. I.e. Whereas a Private Sector person earning £206k is a net contributer to the economy, a Public Sector person is a net taker, i.e. his/her wages/bonus/benefits/final salary index linked pension (and indeed taxes) are being paid by Private Sector taxes. £260k and a £50k public sector pension. Just trying to be objective and impartial and find out what he does. when was the last British PM sacked, surcharged or charged with anything? We have Blair being a peace negotiator with a region he declared war on, and wotsisname, the last one, on the circuit still delivering what we must do to save the World economies. He is on a £50k pension after retiring through ill health and now you want to know if his workload is sufficient to justify a £260k salary? If he is in ill health how can he possibly do sufficient work to justify the salary? He must be odds-on to spend most of his time off sick! OR.... he isn't ill at all but is just looting. You are paying, if you pay British taxes (direct or indirect)? Anyway the PM is not in the job for the money. It said he was now on 260k. Off with his head then. OK, do you have any answer for points 2 and 3 I made above? Well, if you buy any British products or services anywhere in the world, or own any British stocks in any of your portfolios, you are paying for this. Every week there are usually letters and at least one article on what the jokers are doing locally. Last Thursday the Leader was saying the authority is not an "elected dictatorship" but then contradicted himself by saying "if Councillors are not doing what he wants he has a very firm word"
The previous Thursday they elected to retain the system of an Executive rather than revert to a Committee based authority as it was before, even though they were forced to to go and take public opinion on the matter claiming they would listen! They listened then ignored. Having an executive council means the few control the total. Seriously all the information is out there for you. But the Council works hard to silence the dissenters and those who dare question their modus operandi. It is jobs for the boys all the way. Oh ask yourself this. Wherever they want to build it always seems to be the same land owner. Absolutely true. This is digressing from the forum but my blogs do highlight housing issues all the way through BECAUSE THAT IS WHERE THE MONEY IS.